In 2009 I accepted a challenge from Worship Leader magazine to create something tangible that inspires people to connect with God. I wrote songs for my local church, LIFE Christian Fellowship in Chino California, to sing to God. I hoped to record those songs so LIFE could use them to worship God during the week. Marco Sassoon, my mentor, found out about the project and offered to help. Together we began emailing each other song ideas and refinements. We introduced the new songs to the churches we serve. Musicians Pili Bailey and Matthew James also contributed their talent to the songwriting process. 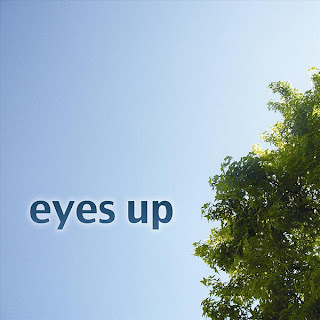 We crafted these six songs to encourage us to lift our eyes up to Heaven. 1. Strength And Song - inspired by Exodus 15. After Moses and the Israelites crossed the Red Sea out of Egypt they sang a song of celebration to the Lord. This new take on Exodus 15 teaches about the power of singing scripture. The catchy melody aims to get people singing and clapping. 2. On Your Name. When Jesus taught his disciples how to pray He started off with “Our Father in heaven, Hallowed be Your name.” Jesus wanted us to respect God’s name. The Bible continually mentions the name of the Lord as a significant force. This song summarizes many powerful aspects of God’s name. The melody is easy to sing and follow. 3. Power - inspired by Psalms 96-99. Based off of the psalms of enthronement that describe God’s sovereign rule. 4. Lifeline - inspired by Psalm 86. This song speaks to the place of desperation that we all find ourselves in at some point. We can find power when we take our eyes off the desperation of the situation and place it on the truth of God’s always present love and goodness. That change of thought brings us to a place of surrender and hope in the desperate places. 5. All Of My Life. This song accentuates the point of redemption when we run to God instead of running from Him. Renewed - inspired by Psalm 1. This song celebrates life transformation and renewal. It humbly acknowledges God’s way as the best and expresses a desire for His way.